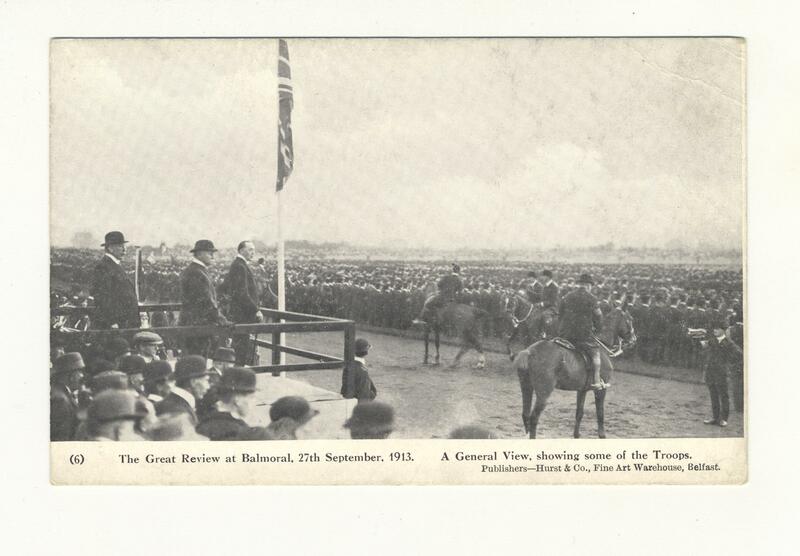 Postcard showing 'The Great Review at Balmoral, 27th Sept. 1913.' A General View, showing some of the troops.